Den 5 - Recent Graduates!!! Explain the rules of kickball to your leader or adult partner. 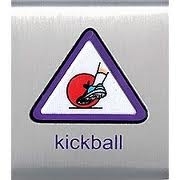 Spend 30 minutes practicing the skills of kickball (pitching, kicking, base running, catching, throwing). This may be over two different practice periods. Play a game of kickball.